Big Wood Spinning Top has a 6 cm diameter and is decorated with lovely patterns. 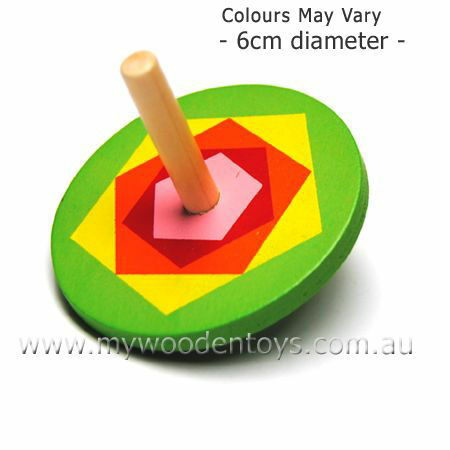 This wooden spinning top is larger than our other stock and is wonderful for small fingers. Very well weighted this spinning top runs for a long time and produces all sorts of colourful swirling patterns as you watch it spin. Size: 6cm diameter 5.5cm high. We like this because: "Strong and beautifully coloured."